Developers wants to construct the ultimate and beautiful WordPress website which will attractive to all and he wants to arrange the all of the post or desired number of post on the same page of the WordPress site. This can be done with Full Width Post Slider module of the Divi theme. 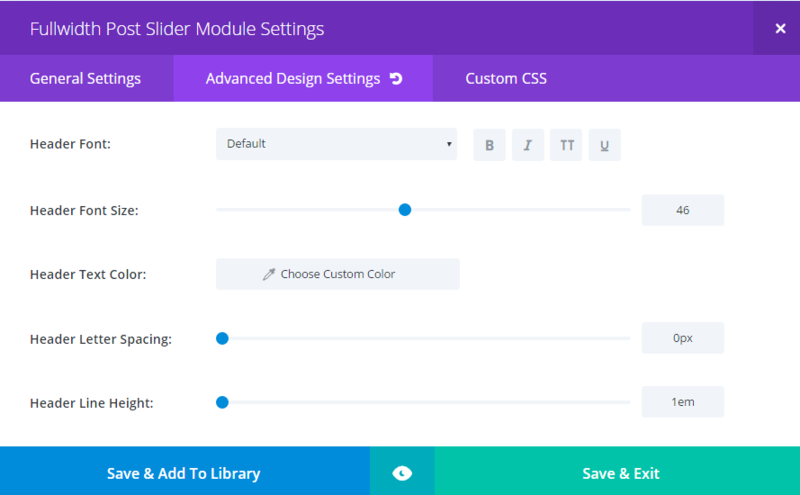 Post Slider module provides the way in which developer can arrange the one or more than one post that he needs to display. We can choose the number of that we would like to display. We can also manage the order of post as we want to display on the website screen. In Advance Design Settings we can customize the color of the header text, header font size, header font style, header letter spacing and header line spacing. The developer always wants to insert his own custom code in their WordPress site. Custom CSS tab of the full-width slider provide the sections in which the developer can write his own designed code. Hope you like the Tutorial, For more keep subscribe us and please let us know if there is any question or query related to the post. Have a Good Day!